Electric vehicle motorists in remote Belgian and German locations can take advantage of charging stations equipped with used batteries. 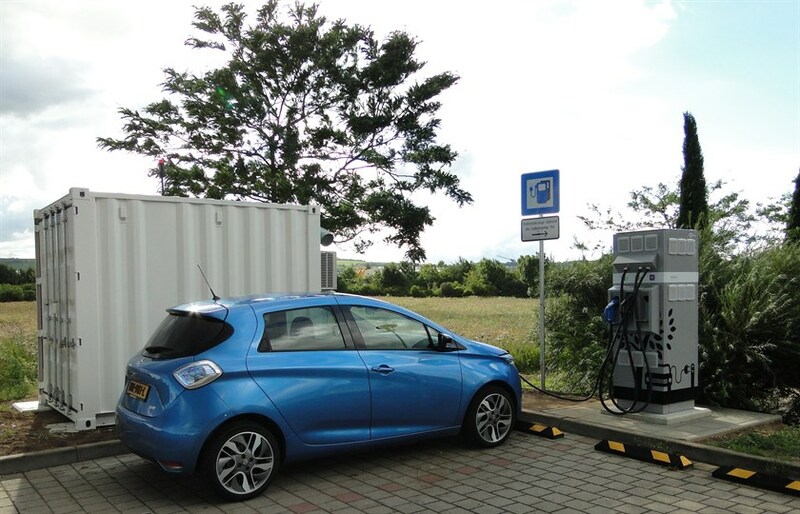 UK-based Connected Energy and Groupe Renault have installed two quick-charge stations based on the innovative E-STOR energy storage technology on roads in Belgium and Germany. Motorists there will be the first in the world to benefit from this service. Renault is doing its part to support the energy transition by re-using the batteries from its electric vehicles for stationary energy storage. The solutions offered by Renault with its partners have multiple applications, from individual homes and multiple-unit residences to industrial sites. “Groupe Renault is supporting the development of charging infrastructures to simplify the daily life of electric vehicle drivers. Using our second-life batteries in fast EV charger contributes to progress by providing charging station operators with economical solutions. Moreover, it is a perfect example of circular economy implementation,” says Nicolas Schottey, Head of Electric Vehicle Batteries and Charging Infrastructures Programme. Connected Energy’s E-STOR systems also offer a load management method for use on industrial and commercial sites. Systems can be controlled by a sophisticated energy optimisation platform to provide a reliable and proven complimentary power source at peak tariff times. E-STOR works with a company’s onsite solar PV or micro wind turbines, storing and releasing energy directly into site systems thereby avoiding the financial shortfalls of exporting to the Grid. E-STOR can also provide new revenue streams by providing balancing services to the grid operator.